WiredWest Refund . . .
Posted on July 8, 2018 | Comments Off on Bulletins . . .
◊ Wireless Broadband is Official! ◊ –>Taxes Due May 1. Comments Off on Bulletins . . .
It’s Official! . . .
AFTER YEARS OF MEETINGS, proposals, more meetings and a blizzard of legal documents, the Massachusetts Broadband Institute (MBI) has made the official announcement that the four Towns of Florida, Hawley, Monroe and Savoy will be jointly receiving up to $2.3 Million in grant money to build a high-speed wireless network. The money source for this project is MBI’s Last Mile program and the prime contractor/vendors are WiValley and OTELCO. It is with great regret that I inform you that Hawley Selectman Sarah J. “Sally” Rich (formerly Sarah Jones), passed away surrounded by her family a little after eight o’clock in the evening on Tuesday, March the 26th, 2019 at Baystate Medical Center in Springfield. She was 77 years old. She was presently also serving on the Hawlemont Regional School Committee and the Hawley Conservation Commission. As many people in Hawley know, she was also my grandmother and one of my best friends. The Hawlemont Annual H.A.Y. Conference has been set for Saturday, April 27, 2019 from 9:30 am – 2:15 pm. This is a showcase for innovative, hands-on education that blends agricultural exposure with traditional curriculum. Registration is required to attend this event. For a brochure and registration form, click HERE. Governor Reopens Springfield Office . . . THE TOWN HAS RECEIVED A COMMUNICATION from Governor Baker’s office in Springfield announcing the reopening of that facility. According to an email by staff member Will Ramsdell, the Governor would like to hear input from residents on a variety of subjects. Mega-Windmill Blade Replacement . . . IT WAS REPORTED AT THE FEBRUARY 19 Hawley Selectboard meeting that Berkshire East is intending to replace one of the blades on its large wind turbine. Originally scheduled for late March, supplier delays have caused this project to be put off until mid-to-late April, according to Hawley Highway Superintendent Gary Mitchell. The plan is to bring the new blade in through Pond Road, then Forget Road, and then to proceed along East Road and up to the windmill site. Gary is working with Berkshire East to bolster the condition of the roads to the turbine site and minimize any damage. Nomination Papers are Ready . . . NOMINATION PAPERS FOR THE HAWLEY TOWN ELECTION are available at the Hawley Town Office, 8 Pudding Hollow Road, or by contacting Town Clerk Pamela Shrimpton at 339-5518/339-4091. Please contact Pamela if you are interested in any of the positions, whether as a nominated candidate or as a write-in. Last day to submit papers is March 25th. Thanks and please don’t hesitate to ask any questions about the positions…we Hawleyites would love to have you on board! Mitigation Plan Revisions Underway . . .
THOSE WHO WITNESSED THE AFTERMATH of Hurricane Irene would no doubt readily agree to the importance of having a disaster plan for the Town of Hawley. While such a plan was in place when that mega-storm hit in 2011, it was clear after the tumult subsided that a more detailed plan would have been helpful. A special committee — the Hazard Mitigation Plan Renewal Committee — is currently working on such a detailed plan for the Town. This project involves the renewal of a version that was put in place in 2014. This current update must be completed by June, 2020. The next meeting of the Renewal Committee has been set for Friday, March 8 at 12:00 pm at the Hawley Town Office. Funding Plea to State Legislators . . . The video referenced above is being sent to State Legislators and Massachusetts Town Officials to highlight the funding crisis for rural schools. Click on the “Play” button above to activate the 7 minute video. Fred W. Wells Education Fund . . .
MARCH 20 IS THE DEADLINE FOR HAWLEY STUDENTS who want to apply for a Fred W. Wells Fund scholarship. This find was established under the will of Fred W. Wells, a former resident of Greenfield. The fund is used to award scholarships in agricultural, mechanical, or professional fields. Residents of Hawley who have resided in the town for not less than two years immediately prior to the date of application are eligible. Taken into consideration are academic record, need, character, leadership ability, extra-curricular activities, and employment. Students of all ages are welcome to apply. Scholarship awards are contingent upon the applicant’s matriculation into an academic program. Maximum award for any one year is $1000.00, and the total awards are are not to exceed a maximum total of four thousand dollars over the course of an academic career. Contact the Town Office at 339-5518 or info@townofhawley.com to obtain an application. Hawley’s Newest . 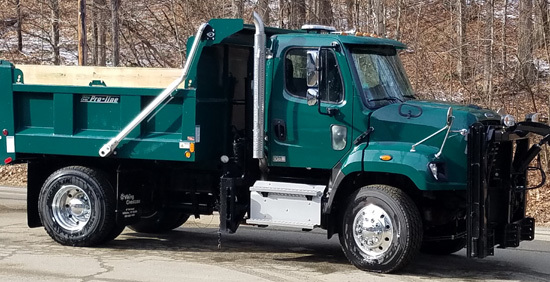 . .
Here’s a photo of the Town of Hawley’s new highway truck. Scroll down for details.